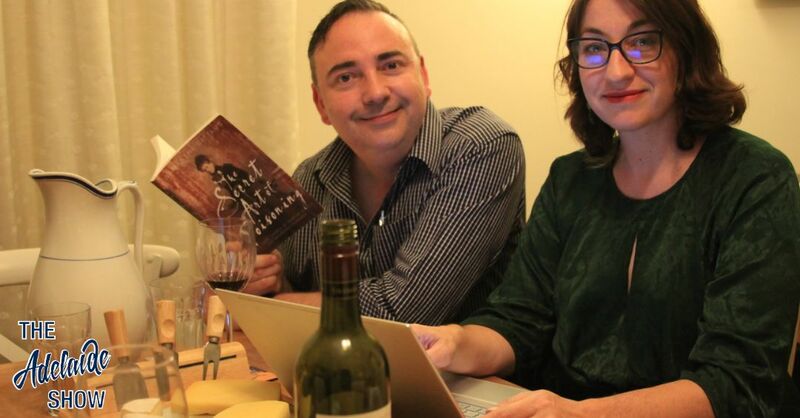 In this week’s episode of The Adelaide Show, we talk to a return guest, Dr Samantha Battams, about her new book, The Secret Art Of Poisoning. Sam was last here for episode 249 as we discussed her book about the dashing Harry Butler. And I feel like we have a sponsor this week, Rough On Rats rat poison. This week, the SA Drink Of The Week is from Fox Creek. And in the Musical Pilgrimage, we have a track from South Australian singer/songwriter Oh Deliah. 2014 Fox Creek Jim’s Script is the SA Drink Of The Week. If there’s one thing we take for granted in a household, it’s trust that fellow members are not out to harm us. It would be easy to dip toothbrushes in toilet water, drink from bottles with backwash, or even, in the case of Martha Needle, lace cups of tea with arsenic. Dr Samantha Battams‘ new book, The Secret Art Of Poisoning, is a gripping read rich with nuanced explorations of a slice of Australian history that got shallow treatment in the press. How things have changed? In Adelaide, the paperback book is at the following bookstores: Dymocks (Adelaide, Unley, Glenelg), Imprints Booksellers, Booked North Adelaide, Mostly Books Mitcham, Shakespeare’s Books Blackwood, Matilda’s Bookshop Stirling, Old Adelaide Gaol, Maritime Museum, Port Mall Newsagency. The paperback can also be bought online at: Booktopia, The Book Depository, Amazon and other stores. Samantha, does living and breathing the stories of Martha Needle and Alexander Newland Lee for so long (as you put a book together), challenge your ability to adopt the naive conventions in which we simply trust those we share relationships with? Can you give us you succinct overview of the two main protagonists in your book before we start unpacking it? You begin with a warts and all glimpse of Adelaide in the mid 1800s. Yet again, as with Denise George’s book about Mary Lee, this was a town to be ashamed of, especially in relation to promises made to young women and girls about setting up life here. However, bravo to young Martha’s neighbour who had the guts to intervene when she was being abused by her step dad. And to the judge for throwing the book. However, you shine a wondeful light on Catherine Helen Spence. Do we need more sunshine on her? Let’s look at Martha’s story now. How does she get from Adelaide to Melbourne? Henry and his jealousy? Our emotion is with Mary, but when her children die, this is when it gets challenging. How did your empathy track during the story? Does modern understandings of psychology affect our empathy? The “evil” mother-in-law to be? The great police work to catch her in the act? Rough On Rats – what in interesting product. Chemist hopping happens today with panadeine and the like. Mr and Mrs Styles take their lives. Tell us about Gaunson. Was he a good lawyer given Mary and Ned Kelly both got hanged? Do we really think Alexander knew nothing of Mary’s story? In the musical pilgrimage, we have a track called April Sun by Oh Deliah. Her debut EP ‘These Old Dreams’ is set for release on May 18, 2019, with an EP launch at the Grace Emily Hotel in Adelaide on the same day.